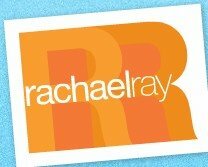 Stations around the nation (sorry, couldn't resist the rhyme) are signing up for Rachael Ray's new talk show. The newest one promoting the show is KXLY of Spokane Washington and Northern Idaho. According to its website, it will be airing the new Rachael Ray Show on the nationwide premiere date, September 18th. KXLY will air it at 3:00 p.m. The queen of “30 Minutes” is taking on a full hour of TV when she launches her own daytime talk show this fall! Rachael will still have plenty of delicious cooking and bargain travel tips, but now she’ll show you how to squeeze just a little more out of every aspect of your life. I still haven't heard when it will be airing on my local Sacramento station! Was down in the O.C. for a vacation. A dear childhood friend's girlfriend works on Tasty Travels. She knows RR! Says she's a bit salty and a par-tay girl. Ummmm Jeny! You waited this long to tell me this? Tell her about my blog and get me a job! Do they need a lawyer?? Just kidding. And I definitely get the party girl vibe from RR. I could totally see that.